Misi, a 4-month-old cheetah, and Cash, a 3-month-old yellow lab, were best friends from the start. This adorable duo is being raised at the Columbus Zoo in Columbus, Ohio as part of the zoo’s commitment to cheetah conservation. With only 10,000 cheetahs left in the world, the species is in “deep, deep trouble,” says Suzi Rapp, vice president of animal programs at the zoo. Rapp and her team discovered some years ago that their resident cheetahs benefitted from having canine companions. Because cheetahs are naturally shy and skittish, pairing them with dogs increased their confidence and well-being. What One Piece of Advice Would You Give Your Children? If you all were here for my post last week, you will understand the whole thing with the 600 Brilliant Blog Post Ideas and where it came from, but if not, you can check it out here. If not, then read on. #17 If you were only allowed to give your children one piece of advice, what would that be? Can Princess, the German Spitz dog, hypnotize humans? Adorable 10-year-old Chow Shepherd tripawed dog is finally all cancer free!!! The post Tripawed Dog Is Cancer Free appeared first on A Place to Love Dogs. 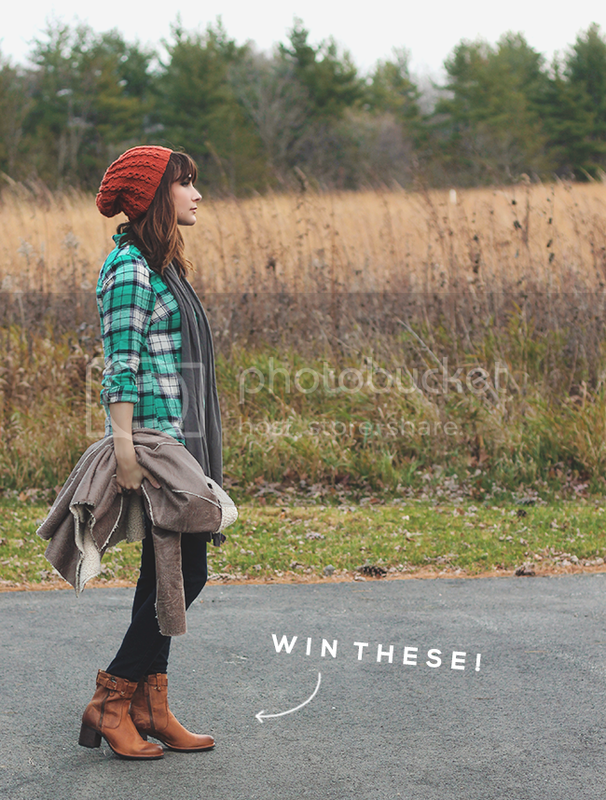 In yesterday’s outfit post, I gushed about the incredible pair of ankle boots I was wearing. And today, I’m absolutely thrilled to be offering you the chance to win a pair of your very own! Called the Madison Boots, they’re made by one of my new favorite companies, a footwear and leather goods line called Trask. Inspired by the independent spirit of the great American west, Trask provides beautifully crafted shoes, boots, sandals, and accessories for women and men who appreciate artisanal quality and timeless style. This season the women’s collection offers stylish riding boots, booties and flats that strike the perfect balance between form and function. I’m being completely serious when I tell you guys that I’m in awe of the craftsmanship of these boots. They feature soft, burnished leather that is zipped up and topped off with a beautiful buckled harness strap. And their chunky, lightly distressed heel gives off a 70s bohemian vibe that I adore. They’re crazy comfortable too – and for someone who rarely wears even the slightest heel anymore, that’s saying a lot. The attention to detail that these shoes were clearly given is evident, and I couldn’t be happier to be teaming up with Trask to give away a pair to one of you. This giveaway will run through November 14th and is open to Bubby and Bean readers worldwide. The winner will be announced here (on the Rafflecopter form) within 48 hours of the end of the giveaway. 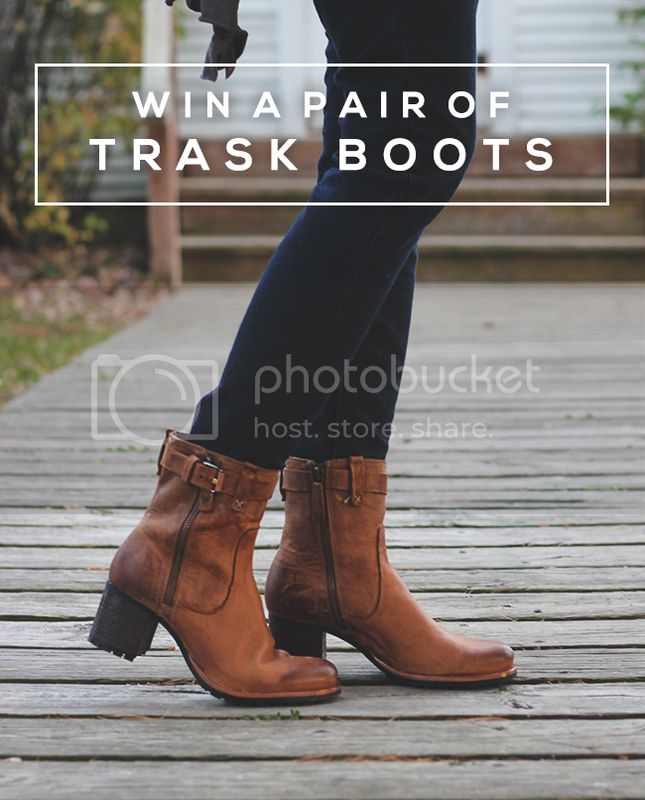 Thank you again to Trask for offering our readers the chance to win a pair of their amazing Madison booties. Good luck!